Oyez, Oyez, Oyez! Here is the tale of Michael Wood. He’s an award-winning town crier, reviving the ancient art of making proclamations about important news across his home of the East Riding of Yorkshire in northern England. But as I learned during a lengthy pub dinner with him and his wife Margaret, taking on the ceremonial role is just the latest chapter in a life that’s full of stories. From serving two decades in the Army to performing as Father Christmas each year, and from a self-described “chaotic” upbringing to playing the role of a cowboy for an advertising campaign, the last thing his life could be described is “ordinary” — and he told me that’s what keeps him happy. “I’m always looking for new things,” said Michael, who told me he discovered the town crier gig by reading the classified ads in his local newspaper the Hull Daily Mail, something he still does every day. “I’ve had a lot of interest and satisfaction from my many jobs,” he added, smiling. It was an unseasonably mild late-December night when I met the Woods for dinner. I was back in England visiting my family for the holidays in the East Riding, which includes the city of Hull. Back in the early 2000s I had spent a couple of years working as a reporter for the Hull Daily Mail, where I’d often see coverage of Michael as the town crier. However, I never got the chance to interview or meet him. 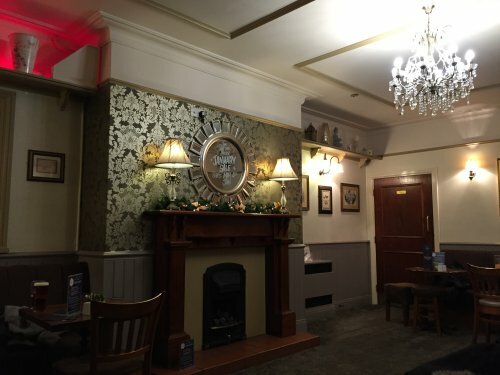 So I resolved to finally do so, and he was willing to meet for a traditional British meal of fish and chips at his local pub. 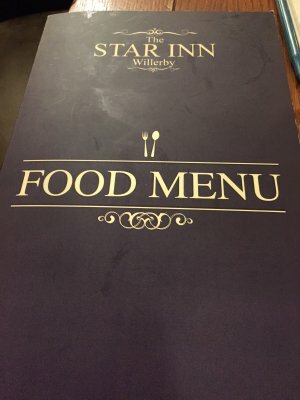 Our dinner was at the Star Inn in Willerby, the first time I’d ever been inside the place. 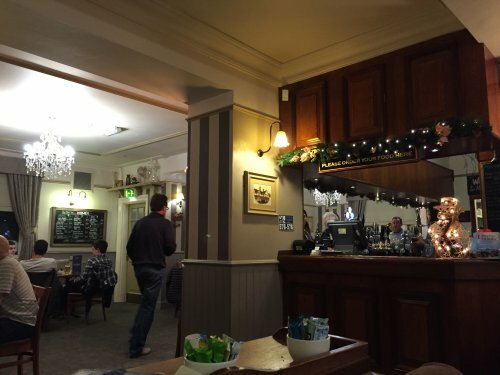 It’s a warm, inviting atmosphere, almost like having drinks in a friend’s living room. I settled into a comfortable corner booth with Margaret and Michael, who both immediately made me feel like a long-lost friend. Indeed, Michael started the night by treating us to a bottle of wine, delaying the actual interview for a long time while we enjoyed a drink and chatted. He’s got a deep, confident voice and projects an outgoing air, treating me like a close pal within seconds. Margaret was the quieter of the two, but she also was effortlessly nice throughout our dinner, while we listened to the story of how Michael became a town crier. It was 1997 when Michael saw the job offer that would make him a town crier — something that would forever change his life. He’d been doing a range of odd jobs after leaving the Army. He saw that the East Riding of Yorkshire was looking to create the role of town crier to celebrate the fact that the northeast region of England had just changed its name back to the East Riding from the previous name of Humberside. The advert announced an audition where candidates would have a “cry-off” to compete for the post. Michael wanted to ace the event and went out to hire an elaborate costume with fancy jacket, tricorne hat and a bell to ring to begin his speech. “I thought that might give me an advantage, and it did, because the other two guys that came just showed up in their civvies,” he said. The task was to give a 100-word proclamation on a visit to the region by Queen Elizabeth II. Michael marched in to the audition room and boomed out his message. “Oyez!” he shouted — but it was so loud one of the judges physically recoiled in shock. They asked him to tone it down and try again. He did. And soon he found out that he’d been chosen as the crier. After winning the role, Michael went on a 300 mile-plus trek around the county in the role of crier, seeking donations for Guide Dogs for the Blind while announcing his appointment. “They wanted an urban cheerleader,” said Michael of the East Riding’s desire for a crier. 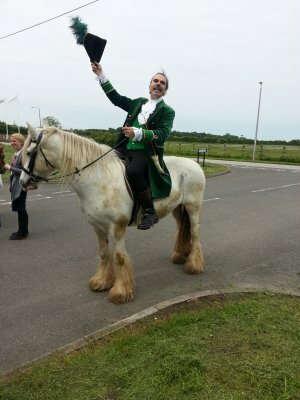 The ceremonial role meant he attended the East Riding council’s annual general meetings to call them to order, and help bring a novel touch to other events — and he’s covered a wide range since the late 90s. He’s cried at everything from weddings to funerals and from birthdays to university degrees. “Having a crier is a focal point to say good things about the county and put it on map, maybe by winning the odd competition,” said Michael as he sipped at a Stella Artois. Organizations including the Ancient and Honorable Guild of Town Criers and the Loyal Company of Town Criers — of which Michael is a member — hold national and international contests, judging criers on everything from their diction to the contents of their messages. From 1997 to 2000 Michael took part in some contests, and while he didn’t win, he was able to get some tips on how to improve. 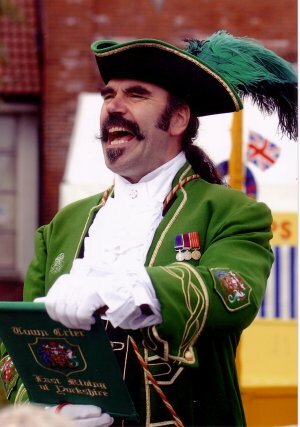 Then in 2000 he took part in the Second Millennium World Town Crier Championship held in Gent, Belgium. The 84 contestants were judged in three categories: Clarity and volume, diction and inflection, and confidence and bearing, based on three cries of not more than 100 words. Michael said that over the few years of crying he’d learned that a speech with a joke is always a winner. “If you can make the judges laugh, you’re halfway there,” he said. “I also realized I had a strength in writing,” Michael added. He told me that he often tries to work jokes into his material that are relevant to where he’s performing. For example, he once had to give a proclamation in Middlewich, England, a town famous for its salt production and canals. “So I said that historically, dentists used salt for root canal work, whereas the town used canal routes for extracted salt,” he said. It’s almost groan-inducing pun humor, but Michael’s cheerful way of saying it made me laugh. “If you write something good, it’s going to come across well. You can be judged on what you write as well as how you say it,” he said. Using the combination of good writing, a stylish outfit, and a confident voice, Michael won the world championship — a title he holds for 1,000 years. That’s because he won the second-ever Millennium World Championship and the next one won’t be held until the year 3,000 when the third Millennium occurs. 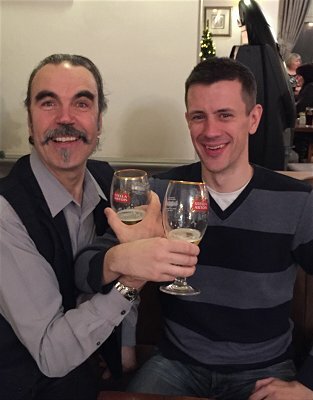 His success in Gent was one of several highlights in a productive few years for Michael, as he also won several competitions in England, including the 2001 Lord Mayor of Chester’s Invitational World Championship. In 2003 he came out top at two contests — the Ancient and Honourable Guild of Town Criers World Championship in Newquay, and the British Championship in Halifax. He said he’s awed by each win. Michael’s most recent competition success was the cry in Middlewich, where he won the 2015 British Town Crier Championship title. He’ll be defending it next year. As we ordered another round of drinks, the tables around our booth and nearby fireplace started to fill up. We placed our food order, and then Michael, 61, continued with his story. He said that despite all the awards and recognition for town crying, he sees it as just another unusual job in a lifetime that has been full of quirky jobs. His family is from Hessle, a town in the East Riding. Michael’s parents — a German mother, a British father — met in Germany during the aftermath of World War II. But the couple were often at loggerheads due to his dad’s alcoholism and his mother’s acute anxiety caused by living through the war. “They were both blessed with good looks, like Hollywood stereotypes, but they were famous in Hessle for their fighting,” he said. And it led to a chaotic childhood for him and his siblings. “I’m not trying to make this sound like a misery memoir,” Michael said, “I tell you all this so you know why I do what I do, and how I turned out how I did. Mum and dad were beautiful, fun people but my sister and my brothers were all troubled from the environment we grew up in,” he added. Michael didn’t have a great interest in school, saying he had problems with concentration. He left school in 1969 without a leaving certificate, and realized he needed some direction in his life. So he settled on signing up for the Army. “Some kids leave home to join the circus, I left a circus to join a home,” he said. The regimented nature of life in the military combined with a carrot-and-stick approach to work appealed to him, finally giving him some long-sought order in life. Despite having some good times in the Army — including postings overseas in places like Oman — Michael said he was never a huge fan of the work. He won a string of medals for work in places like Northern Ireland and for duration of service, but these days he uses them to tell a joke. “Sometimes I wear the medals with my town crier outfit and people ask what they’re for. I tell them to forget serving in the Middle East or Northern Ireland. I say they’re for something even more important: That one’s for drinking army cookhouse tea, that’s for eating army pork pies, and the third is for not complaining about it,” he said, breaking into a hearty laugh. “Right, I’ll just have a sip of this,” Michael said as he reached again for his beer. Then he shot a grin to Margaret. “I don’t know what I’ll reveal getting interviewed under alcohol! I’ll probably end up with wobbly gob!” he joked, giving his hilarious term for slurred speech. When Michael turned 40 he had done the necessary 22 years to earn a military pension, enough to “keep the wolves from the door” and allow him to pursue other interests. So he left the Army and said that this is when he believes his life started to get interesting. One day he was reading the Hull Daily Mail and saw an advert to be a cowboy. An American food company was looking for someone tall and with a mustache to help in a campaign to sell beef jerky to the Brits. On a whim, Michael rented a cowboy costume and turned up at a Wild West-themed amusement park to audition. 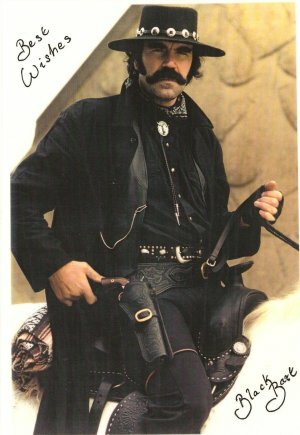 Putting on his best American drawl (learned by a childhood obsessed with watching John Wayne and Lee Marvin Westerns) he strode into a bar as the cowboy Black Bart, who was there to have a fight with Pecos Pete. He aced the audition. But the biggest problem was that the product launch was in 1994, the height of Mad Cow Disease and a fear about contaminated beef. Coupled with what Michael saw as bad management of the product, it spelled the end for his time as Black Bart. “I joined a beef jerky company but ended up with a beef against a company full of jerks,” he quipped. However, he kept his cowboy costume and soon saw an ad in Variety seeking a resident cowboy entertainer at an American-themed bar in London. 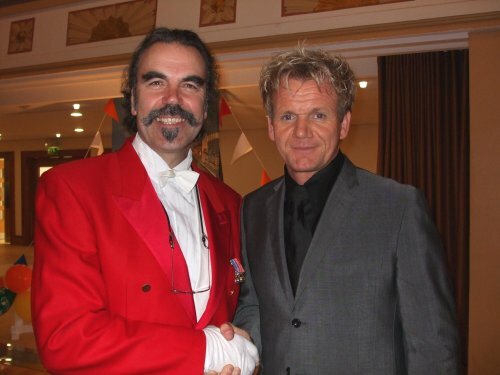 During his time in the capital city he also did stints as sinister characters at the London Dungeon attraction and as Father Christmas at Harrods shopping center. But family ties would draw him back up North. Michael is estranged from a daughter from a previous relationship and said he’ll always regret that. Since then he had a son with another partner before meeting Margaret. Michael was determined not to repeat his past mistakes of being an “absent father” and so relocated to the East Riding. “I wanted to put right with my son what I didn’t put right with my daughter,” he said. 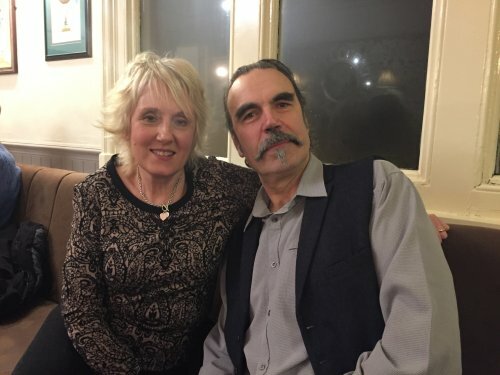 That’s how he came to settle permanently in the North, where he eventually met Margaret while performing as Father Christmas one year (they now live near the Star Inn). In 1999, Michael received a phone call from Pecos Pete who invited him to come to Los Angeles and see whether he might be able to find work as a cowboy or town crier. “I went for a visit and to satisfy my curiosity,” said Michael. 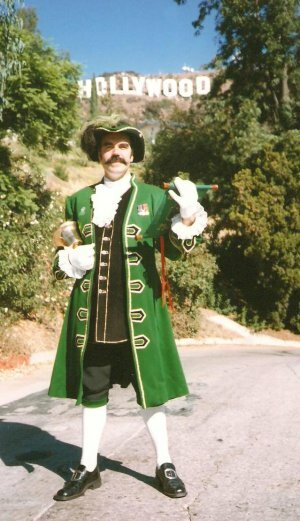 He was enamored of the costumed characters walking up and down the Hollywood Walk of Fame, and one day decided to march around in his town crier outfit. A businessman from the Hollywood Wax Museum saw Michael pass by and asked him about his costume. Michael explained the work of a town crier, then did a few cries to get attention for the museum. It worked. Punters came flocking. Eventually he was offered a temporary job to be the official Hollywood town crier as part of the business improvement district, which aimed to revitalize the neighborhood — a project I learned about last May when I interviewed Mark Echeverria, proprietor of the Musso & Frank Grill, a landmark Hollywood restaurant. Got a million for Cleopatra, ha ha ha! Part two covers the history of cinema in Hull, while part three lists his favorite movies. I don’t want to spoil any more contents of this one-of-a-kind book, but highly recommend visiting Michael’s website to find out more about it and to order a copy. Although Michael loved his time in Hollywood, he knew that he wanted to settle in the East Riding. But before he could tell me about that, our waitress arrived with our meal. All three of us had ordered the same thing. 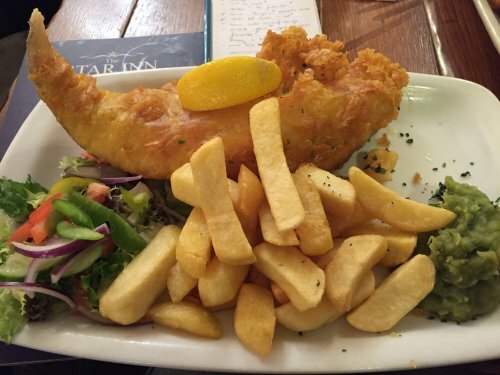 Michael chose the Star Inn because of their “mega” fish and chips. It’s a huge plate of battered haddock with chips and mushy peas, incredible value for money. I’ve long struggled to find decent fish and chips in the United States, so I jumped at the chance to have some back home. I’m glad I did, because these were great. The fresh fish was perfectly flaky, the batter crisp but not salty or greasy, and the hand-cut chips cooked perfectly. I think all three of us were silenced temporarily while we enjoyed the food and sipped at our drinks. “I always love having this,” Michael said. I’m grateful they decided to be less health-conscious for one night, because this was a great meal. 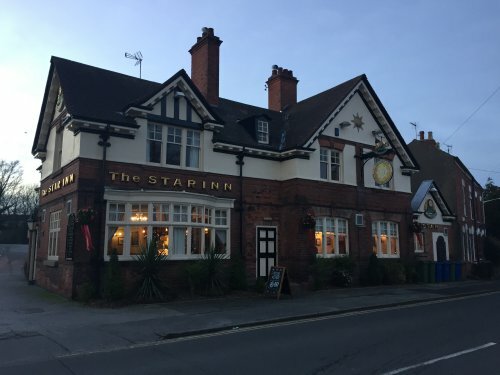 I’m already planning a return visit to the Star Inn. While we ate, Michael brought his life story full circle as he again talked finding the Hull Daily Mail advert for a town crier. Since then his life has mostly revolved around appearances as a town crier, along with toastmaster performances at all manner of events. Other downsides including events where he has to stand out in the rain for hours at at a time. But he has no regrets about what has become the central focus of his life. “It might not mean anything to anyone else, but it’s nice to be able to say, ‘I’m Michael Wood, British town crier champion.’ Nobody from TV comes knocking on my door, but it’s given me a lot of satisfaction,” he said with a smile. In April this year the East Riding will mark 20 years since it was renamed from Humberside, and in 2017 it’ll have been 20 years since Michael started work as a town crier. He expects to line up big events to celebrate both, but told me he wanted to keep mum on the plans so as not to spoil the surprise. Although Michael loves the excitement and pomp of some of the bigger events, including his work for the council, he said that some smaller events can mean even more to him.